During his thirty-plus years of practicing in West Texas and Minnesota, physician and neurologist Tom Hutton discovered that a doctor's best teachers are often his patients. From these (extra)ordinary individuals, he gained a whole-hearted respect for the resourcefulness, courage, and resilience of the human spirit. 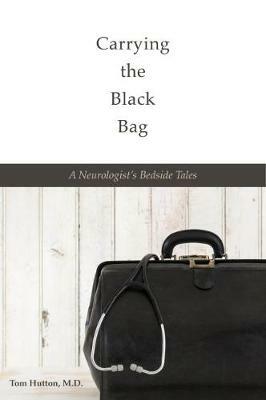 Part memoir and part homage to those patients who faced major illness with grace, grit, and dignity, Carrying the Black Bag invites readers to experience what it is like to be a doctor's hands, eyes, and heart. Imagine the joy of witnessing a critically ill five-year-old who, against all odds, claws her way back from a coma and near certain death. Meet a lonely Texas widower with Parkinson's disease who hosts elaborate pinochle parties for a pack of imaginary canines. Step into the surgical booties of the author when he attempts to deliver his own child amid heart-stopping obstetrical complications. Through real-life patient narratives, Hutton shines light on ordinary people facing extraordinary challenges. Moreover, this captivating tale captures the drama of medicine-its mystery, pathos, heroism, sacrifice, and humour.